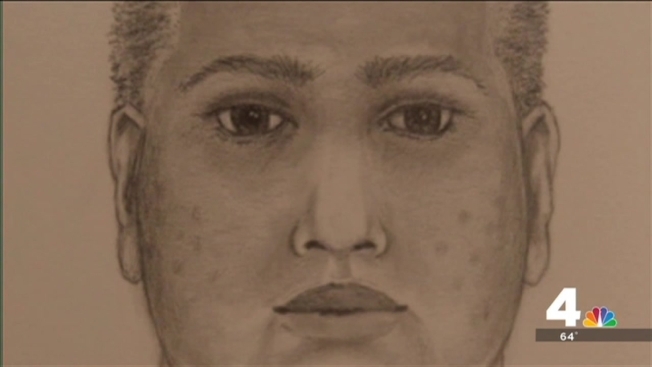 Police are looking for a man who inappropriately touched two girls in separate incidents in just half an hour on a recent Tuesday morning in Laurel. The first assault happened between 7:45 and 8 a.m. on Sept. 23 on Briarwood Drive at Briarcroft Lane, according to Prince George's County Police. Then, a second incident happened on the same street just minutes later, at about 8:15 a.m. In both instances, the man touched the girls inappropriately and then ran away, they said. Police have released a sketch of a suspect, described as having a heavy build, with dreadlocks pulled into a Mohawk-type hairstyle at the time of the assaults. Detectives plan to canvas the area of the assaults and pass out fliers with the sketch on Friday. "If you saw that guy, you would definitely remember him," said one Laurel woman. A cash reward is being offered in this case. Anyone with information on the suspect's identity is asked to contact the Prince George's County Police Department at 301-699-2601. Anonymous callers can call 1-866-411-TIPS.